Look forward to trying this place! Ironically, walked by it and read the menu, but didn’t go in. NOW I will, lovely review. Thank you Yukari… always look forward to your reviews! We sampled a number of dishes here (e.g. two bowls of ramen, special side of curry). Sadly while this spot’s decor is clean / cute, and the ingredients high quality / prepared with care, the flavor was lackluster (if you are visiting Tokyo, I’d skip this spot and opt for something else). 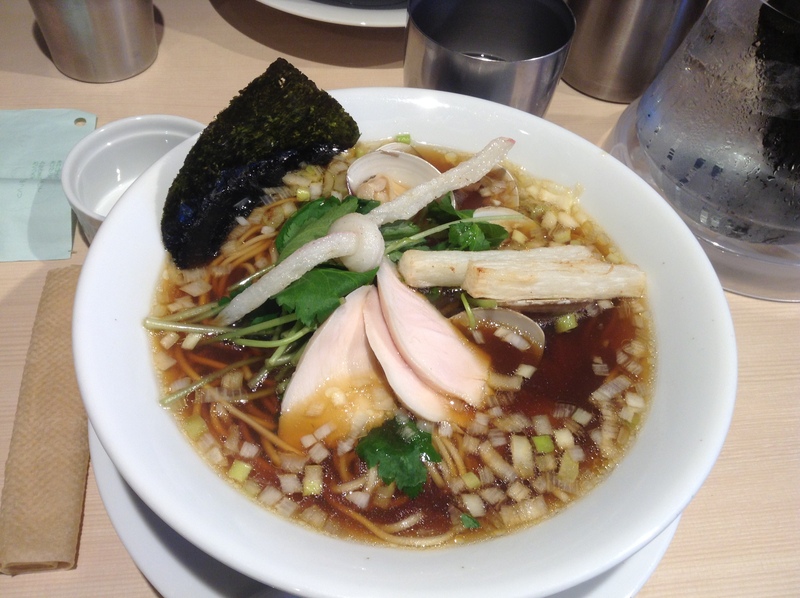 I think many people will prefer the tonkotsu or chicken ramen. But, for those of us who live in Tokyo, I love having the variety of options we have here, including this one.